Imagine how fun it will be to design your own custom home and have it 3-D printed! Printers have come a long way from simply churning out reams of spreadsheets, high school history reports, and cute cat photos. 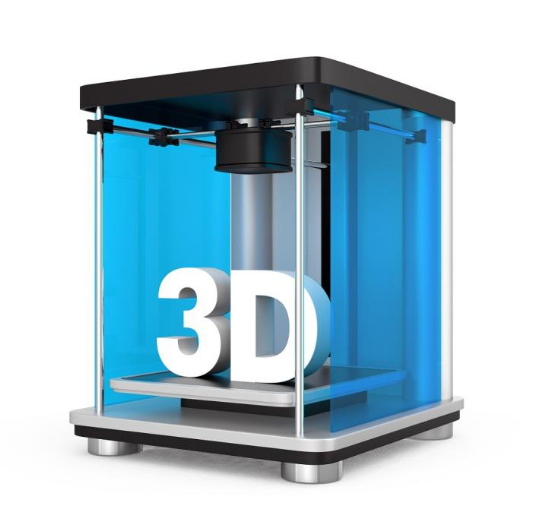 In case you haven’t heard, 3-D printing is rapidly changing, well, everything. The technology is making the unimaginable real, already producing everything from simple plastic toys to edible pizza and even human tissue and body parts (an ear!). Additive technology, as it’s also called, promises to revolutionize the world as we know it. And the greatest potential for transformation and disruption, some believe, may be in housing. If “printed homes” seem like a distant fantasy, you’d better buckle your seat belts. You’re in for quite a ride. 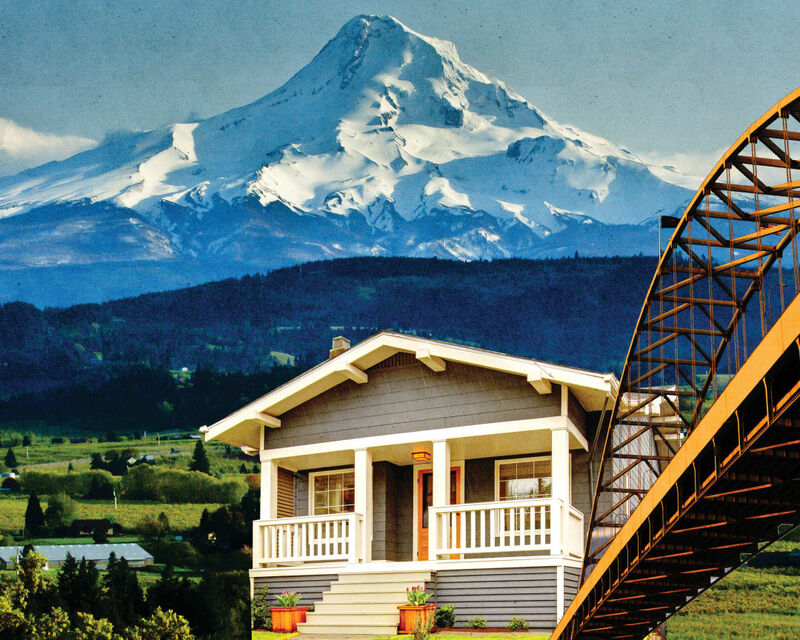 So how exactly is 3-D printing poised to reshape the housing market? Well, let’s start with price. Three-dimensional printers don’t require laborers, produce much less waste (as materials are fed into the machines), and will be able to erect homes in days instead of months—making them substantially cheaper to build. And that’s expected to extend the American dream to a whole new group of buyers who would otherwise never be able to afford their own abodes. Gone will be the problems caused by a shortage of highly skilled construction workers, long building times, and wasted materials such as lumber. And let’s touch on dreams. Three-dimensional printing will eventually help facilitate the creation of radical new housing designs, new shapes, and brand-new architectural ideas. The road from fanciful concept to livable reality will become shorter and more traversable than ever. This is exciting stuff—and not just for those who are currently priced out of homeownership. Imagine your average accountant or Chipotle manager being able to design their own Frank Gehry–styled, uniquely shaped home on a computer— and a specialized, industrial-size 3-D printer bringing it into existence in a matter of hours or days for just a fraction of the usual price. 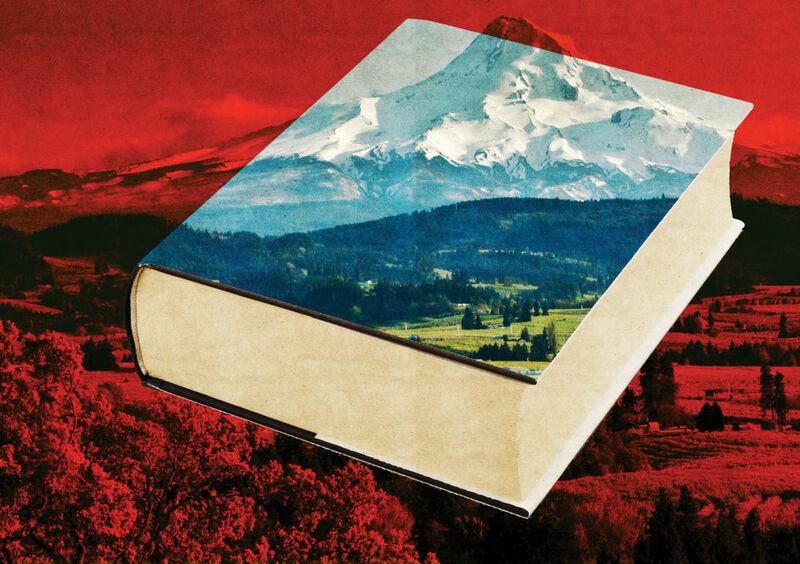 Then think of what the technology could mean for storm-ravaged communities if residents who lost their homes could have identical replacements easily printed, complete with furniture. And we’re not talking about a far-distant future. Rudimentary printed structures, mostly made of concrete and resembling stark gray boxes, are already sprouting up around the globe. Now a handful of cutting-edge construction companies are engaged in something like a 3-D printing arms race—each striving to be the first to refine the technology. A Chinese company even recently printed a two-story, 4,305-square-foot building on-site in just 45 days. And while such current buildings may not exactly be the “dream home” of your average buyer, experts predict that within five to 25 years (depending on whom you’re talking to), the technology will be advanced enough to print sophisticated and easily customizable dwellings out of wood, metal, and stone. These are places that buyers would be proud to call their own. Those liquidlike materials, similar to molten lava, are layered on top of one another to form the walls of the structure. These materials can vary from fiber-reinforced concrete, which doesn’t require steel rebars for support, to steel and even wood, which would require reinforcements. And eventually, experts predict the technology will print modern-day necessities such as electricity and plumbing at the same time as the home is being constructed. So when is it coming, for real? Opinions vary. Rindfleisch believes the technology is still about 25 years away from creating sophisticated homes that buyers would be vying to live in. Other experts have pegged the timeline closer to just a decade—or even half that. The challenges lie mostly with the materials fed into the devices—and working around their current-day limitations. Scientists are closely tracking the materials used for construction and how long they take to dry before a new layer can be added, Rindfleisch says. He says progress is coming at a rapid clip. “About two years ago, all we could print was hard plastic,” he says. “Now we can print soft plastics. We can print wood.” The wood is basically a pulp mixed with plastic that can be fed into the printer. The printing process is likely to eventually empower more everyday home buyers without fancy architecture degrees to design their own perfect pad on a computer—and then print it out on a plot of land. In April, Hurst’s Chicago-based firm won the Freeform House Design Challenge with its sleek Curve Appeal home. Construction on the winning design, which will, of course, be printed three-dimensionally, is slated to begin in November by Branch Technology, the Chattanooga, TN–based builder that sponsored the contest. The home would go for about $900,000 on the market if it were conventionally built, Hurst says. But he hopes to print the carbon fiber structure at a Chattanooga site at a fraction of the cost. Once the technical challenges are solved, a 2,500-square-foot home could go up in less than 24 hours instead of months, predicts 3-D home building pioneer Behrokh Khoshnevis, an engineering professor at the University of California, Los Angeles. He gave a TED Talk on the subject. 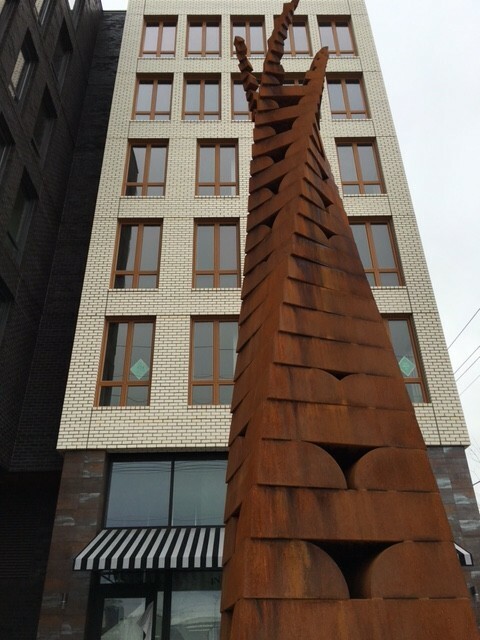 And the buildings could be more attractive to buyers than those constructed by human hands, he says. 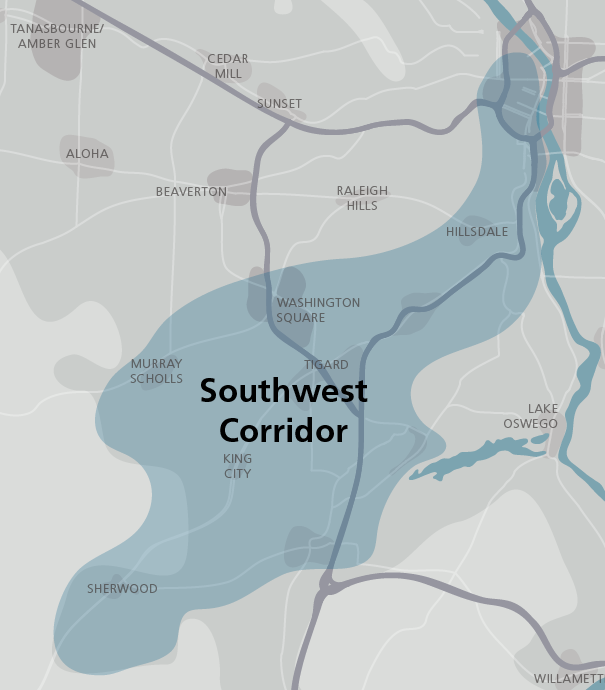 The new technology could make its biggest mark, at least initially, in the nation’s urban areas. 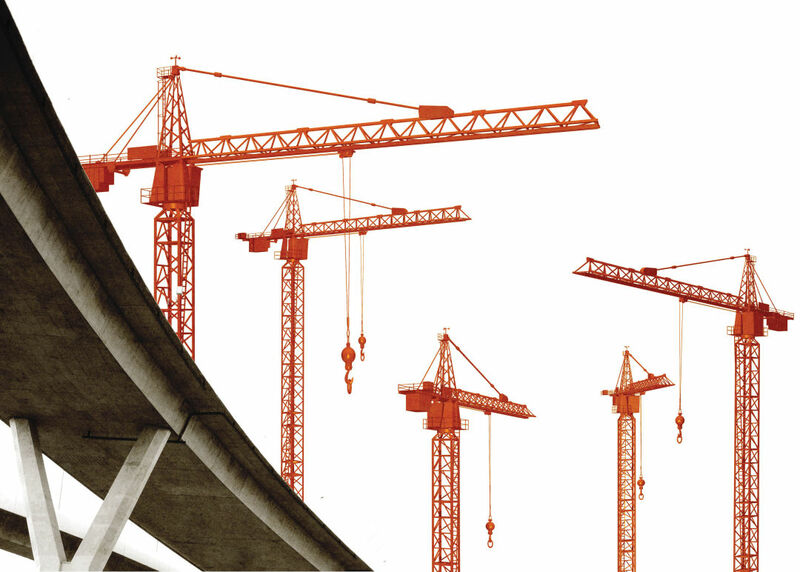 Three-dimensional printing will enable developers to put up buildings on previously “unbuildable” sites—such as smaller city plots where it would be near impossible to fit a crane, says K.C. Conway, head of market intelligence for commercial real estate lending at SunTrust Bank in Atlanta. It could turn costly and time-consuming regulatory problems into no big deal as building plans will be redesigned by computers—instead of flesh-and-blood architects. Another bonus is that homes will eventually be able to go up a lot quicker—that’s particularly important in natural disaster–ravaged areas, points out Alex Le Roux. He began designing a 3-D printer while he was still a mechanical engineering major at Baylor University in Waco, TX. Now the 23-year-old is CEO of Vesta Printer, which printed a rudimentary, 120-square-foot building in June in Katy, TX. He’s hoping to soon print larger ones. His company has received funding from ModEco Development, a Rochester, MI–based builder that has been experimenting with the technology. 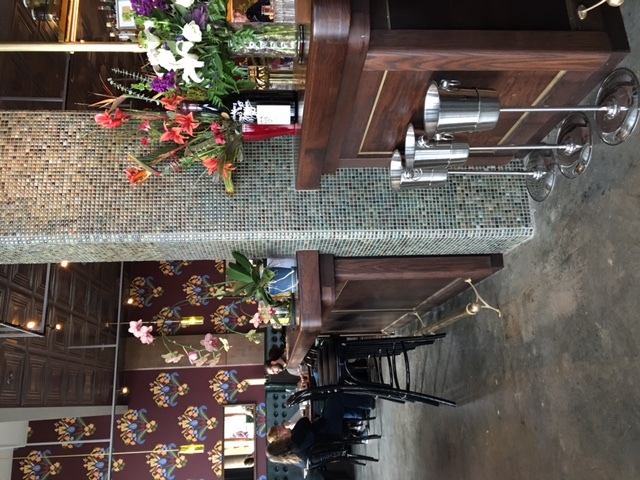 “This is where we see the business going,” says ModEco owner Drake Boroja. 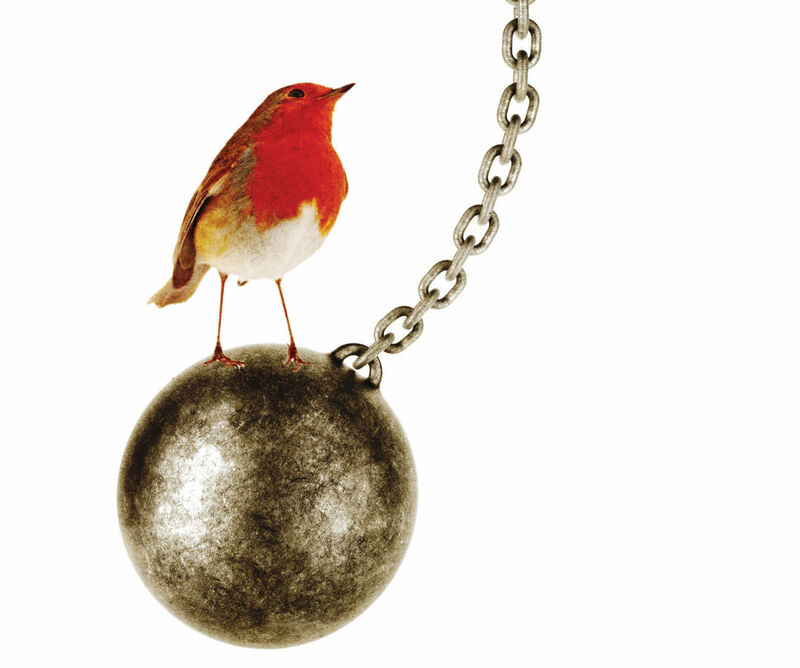 “The American dream is getting harder and harder to get [as the prices of homes are soaring]. We see these tools as a way to keep this dream going for the next generation." Good News for Healthy Food Lovers! 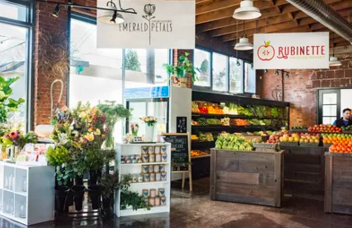 Veganz, the first and world’s largest vegan grocery store chain, will set up shop in the famously crunchy city later this year. 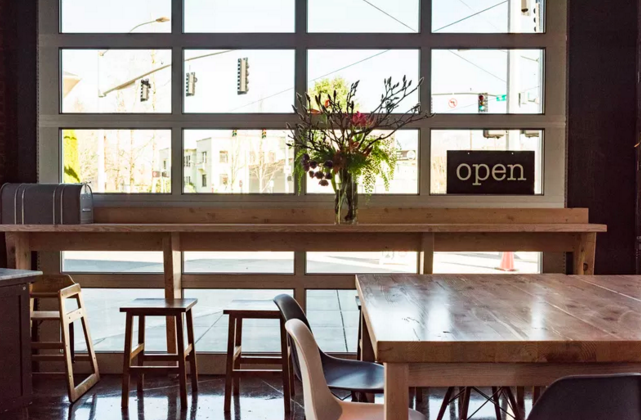 Along with a supermarket, Veganz also plans to open a shoe and clothing store and restaurant in Portland. 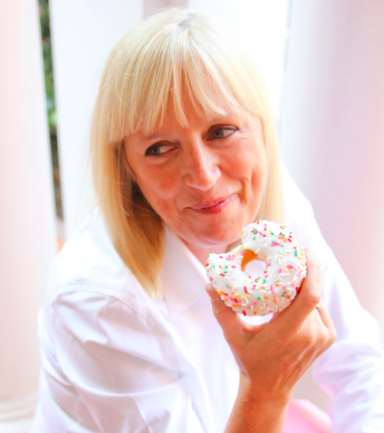 The chain was founded in February 2011 in Berlin, Germany by former Mercedes-Benz manager Jan Bredack after he found bountiful vegan options during his travels around the U.S. and Russia, German news site The Local reported. Bredack, who became a vegan in 2009, said he found it hard to “shop normally” at home. Germany, after all, is the meat-loving home to 1,500 different types of sausages and cold cuts. 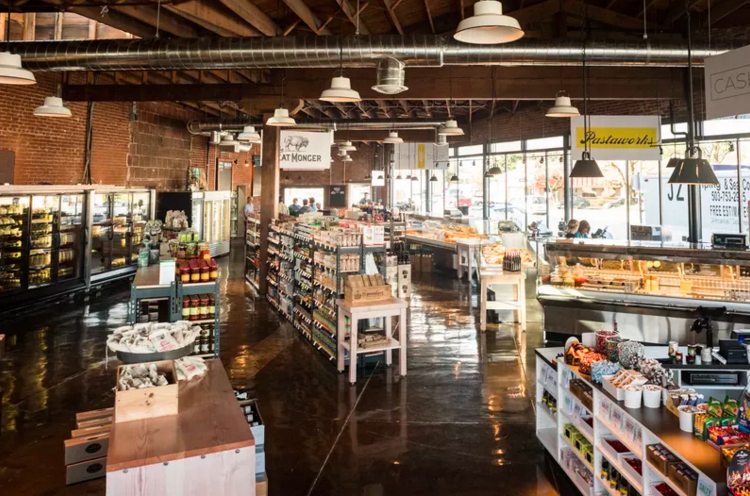 Bredack said he wants to make vegan shopping easier for everyone and noted that his stores appeal to omnivores as well, estimating that 80 percent of his customers are neither vegan nor vegetarian. Veganz imports goods from 30 countries worldwide and sells thousands of vegan products, including plant milk and cream, fake meats and fish, vegan ice creams, vegan cheeses and sweets, as well as toiletries and cosmetics. You can see the incredible range of products they have at its Berlin branch here. Currently, there are more than 10 branches across Europe, including Berlin, Frankfurt, Hamburg, Munich, Essen, Cologne, Prague and Vienna. 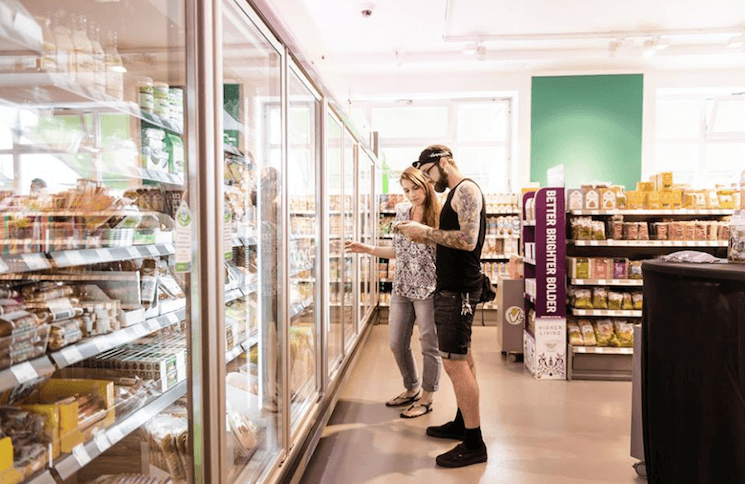 Veganz’s first branch in the UK will reportedly offer more than 6,000 vegan products. In the video below Bredack, talks about his plans to take Veganz food products on-the-go with a food truck for festivals, music and sports events. Although the U.S. is still heavily a nation of meat eaters—vegans make up roughly 6 percent of the U.S. population—Americans have certainly reduced their meat consumption in recent years. Besides a growing list of health concerns, more and more people are also considering the environmental consequences of meat and animal products. That’s because a Western-style diet rich in meat and dairy produce will lead to an 80 percent increase in greenhouse gas emissions from agriculture, according to Tim Redford of the Climate News Network. A 2014 research paper from UK think tank Chatham House, Livestock—Climate Change’s Forgotten Sector, explained why it may be necessary for a lot more people to go vegetarian or at least dial down their consumption of meat and dairy products. Greenhouse gas emissions from livestock, the study said, account for about 14.5 percent of the global total, more than direct emissions from the transportation sector and more than all the emissions produced by the U.S., the world’s biggest economy. Providore Fine Foods – Now Open! 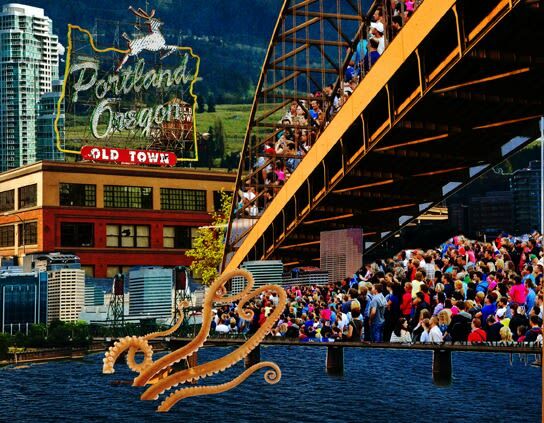 Another fabulous food adventure for Portlandia! three types of oysters served raw daily. Netarts bay oysters, delivered to Flying Fish the same day they are harvested by Nevor Shellfish, start at $2. 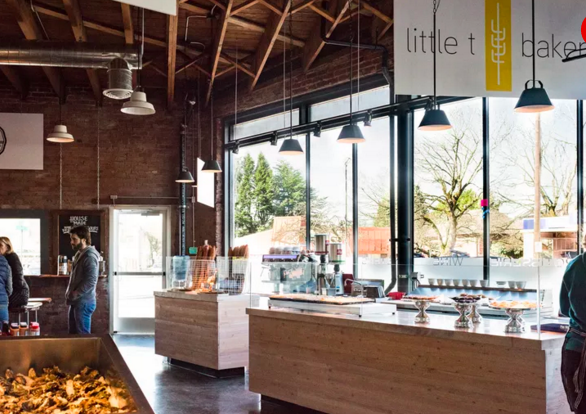 After discovering Italy's rotisserie chicken with their noses on a trip on the Italian Riviera, Providore Fine Foods and Pastaworks co-owners Kevin de Garmo and Kaie Wellman knew they needed to open a Mediterranean-style rotisserie chicken shack. Arrosto, scheduled to open at Providore Fine Foods by the end of the week, sells its chickens and sides through a window onto the street. You can either take your order home or dig in in the Providore's seating area. 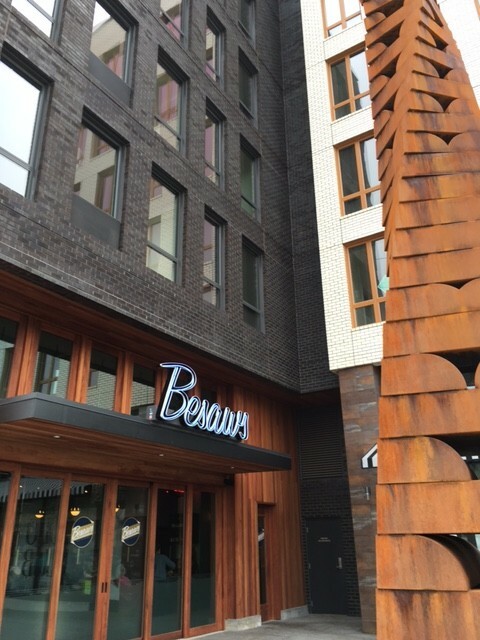 Located at the front of the marketplace, the seating area seats around 20, either at two large communal tables or at a bar along the window. Come summer, the garage doors will roll up and the tables will spill out onto the patio. Whole, half, and quarter rotisserie chickens. De Garmo says he prefers not to use a brine. "A brine is nice for breast meat, but it can make the rest of the bird soggy." Arrosto salt its chickens; stuffs them with rosemary; and brushes them with rosemary olive oil while cooking. Every chicken comes with "crispy fat" roasted potatoes and a salad of wild baby arugula, escarole, and radicchio tossed with pecorino, croutons, and dressing. 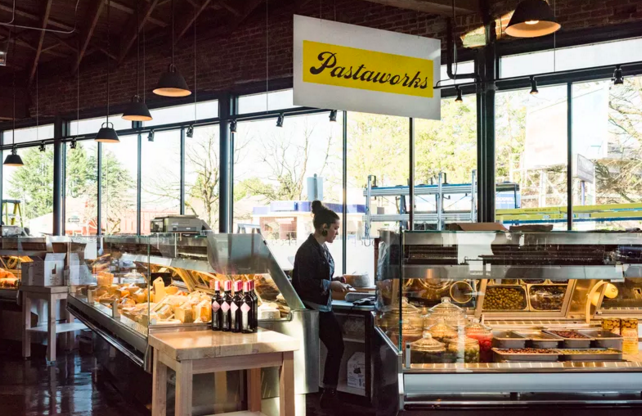 Pastaworks has always sold ready-to-eat items, but it's bringing lots of new ideas, including decadent chocolate and hazelnut Baci cookies and a line of foccaccias that now come with optional toppings, like prosciutto. 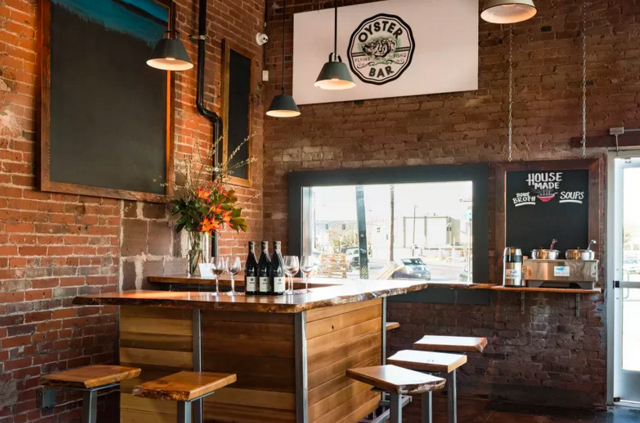 It also hired executive chef Derek McCarthy (Firehouse, Pig & Pie), sous chef Jeff Ciuffetelli (Taylor Railworks, Clyde Common), and baker Abby Ward(Serrato, Tin Shed). What are the hot trends to look out for in 2016 in home design? 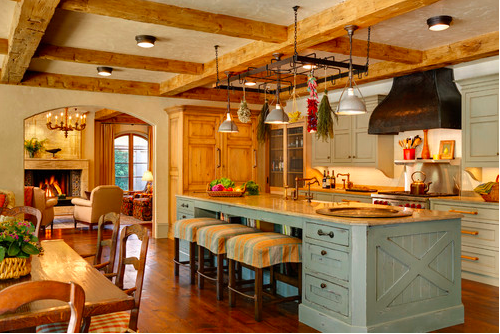 Here are a few predictions from the remodeling and design site Houzz on some of the big trends to expect. 1. Two shades of kitchen cabinets. 2. 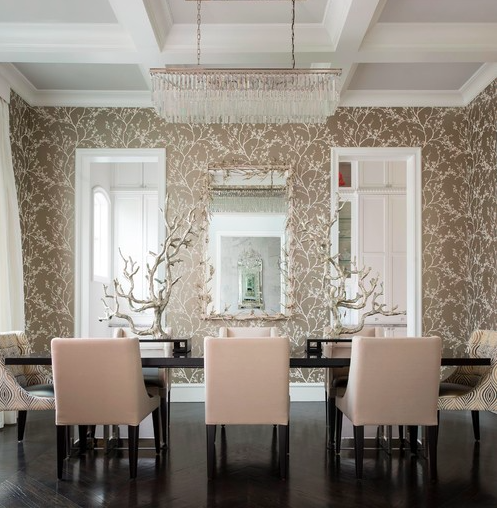 Formal dining rooms are back. 4. Mirrors that make a statement. 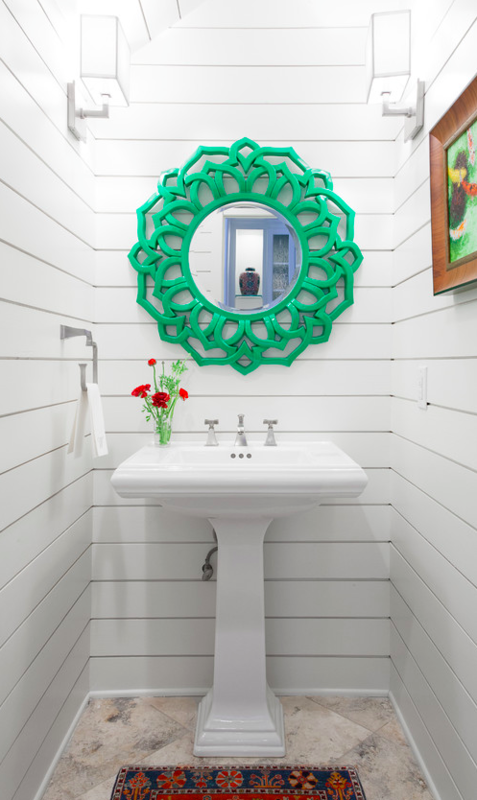 Medicine cabinets are heading out and now wood-framed, modern, or vintage mirrors are adding more style to bathrooms. Kitchens are fading into the backdrop as the open layouts infuse more seamlessly into the living room or other spaces in the home. 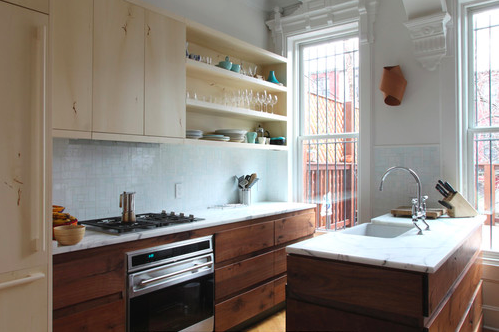 Aiding that trend, more kitchens are featuring open shelves to add to that openness. 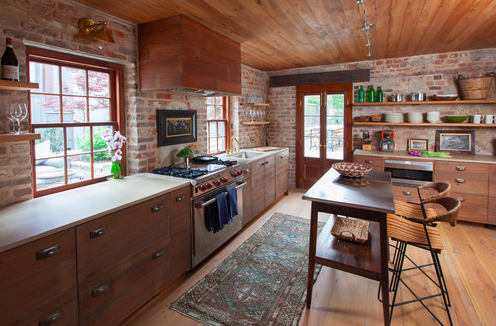 Houzz identified this as one of the top dream spaces for home owners. 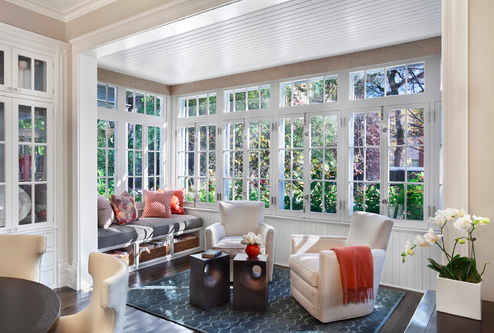 Some home owners are finding ways to even transform tucked away corners in their home into a sunroom with a few chairs to relax near windows. 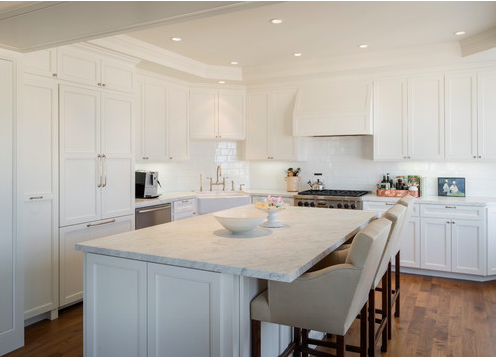 White kitchen walls and cabinets and even countertops is a trend with staying power, Houzz predicts. To add some splash to the all-white kitchen, designers are adding touches of color through the tile floors or floor-to-ceiling bookcases. Transitional Powder Room by New York Interior Designers & Decorators Chango & Co.
8. 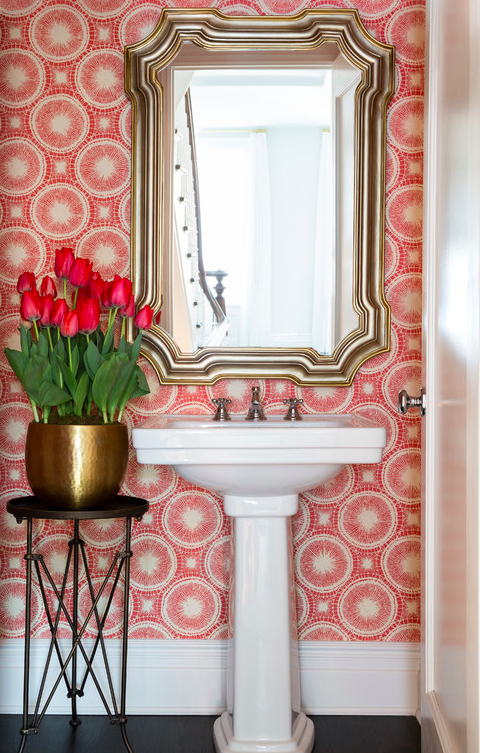 Powder rooms get more bold. Wall coverings are getting punched up in powder room, that include everything from custom graphics to textured walls. 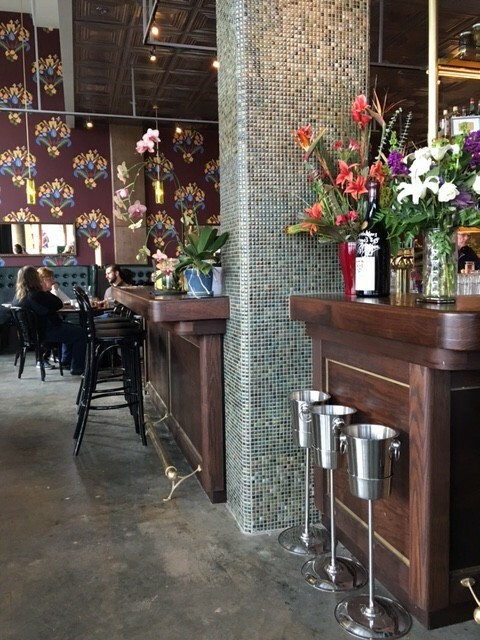 Also, designers are mixing in ornate chandeliers or furniture-like pieces to add some more pizzazz to these spaces. 9. Farmhouse style guides the entryway. 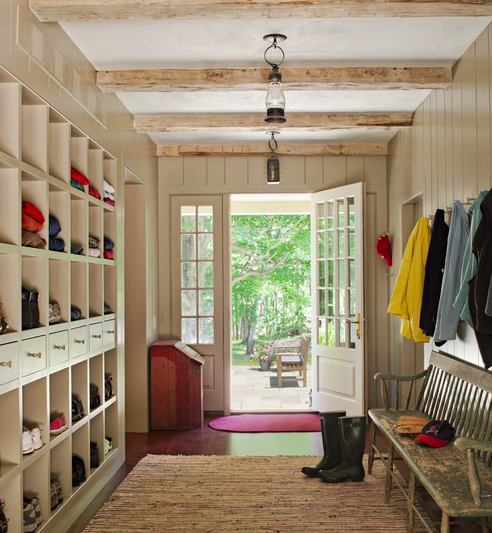 Farmhouse style is catching on, particularly for the mudroom. Simplicity in the storage solutions and durable materials are taking charge. Nothing influences people more than a recommendation by a trusted friend. I'm so grateful that you continue to give my name to your friends and colleagues!